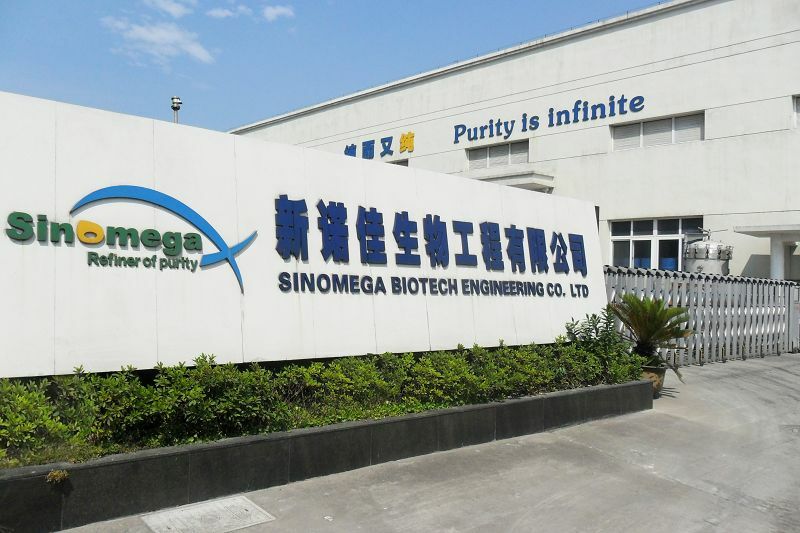 Sinomega Biotech Engineering Co., Ltd. manufactures and supplies one of the most reliable sources of Omega-3 marine fatty acids(fish oils) in the world market. Sinomega is a subsidiary of China's top seafood processor Zhejiang Industrial Group-a Joint Venture with the Japanese conglomerate Maruha Nichiro. Both companies have long years of experience in marine foods and nutraceuticals and enjoy great reputation in the marketplace. Aiming at the forefront of the world's scientific achievements, SINOMEGA has been making consistent efforts to seek excellence through innovation. Our state-of-the-art equipments & facilities, special design and knowhow, strong R&D support and in particular, our decade-long experience have made us different among the players. Sinomega is located at Zhoushan Islands, China—a place renowned for the biggest fishing port as well as the most popular Buddhism resort in the country. Furthermore, it has just been approved in June 2011 by the central government to be the 4th national economic new area(same as Pudong New Area Shanghai) of the country .The unique geographical advantage not only renders SINOMEGA people the spaciousness of mind but also the wisdom of win-win cooperation. We will commit ourselves to build partnership with our customers around the globe by bringing them incomparable value.